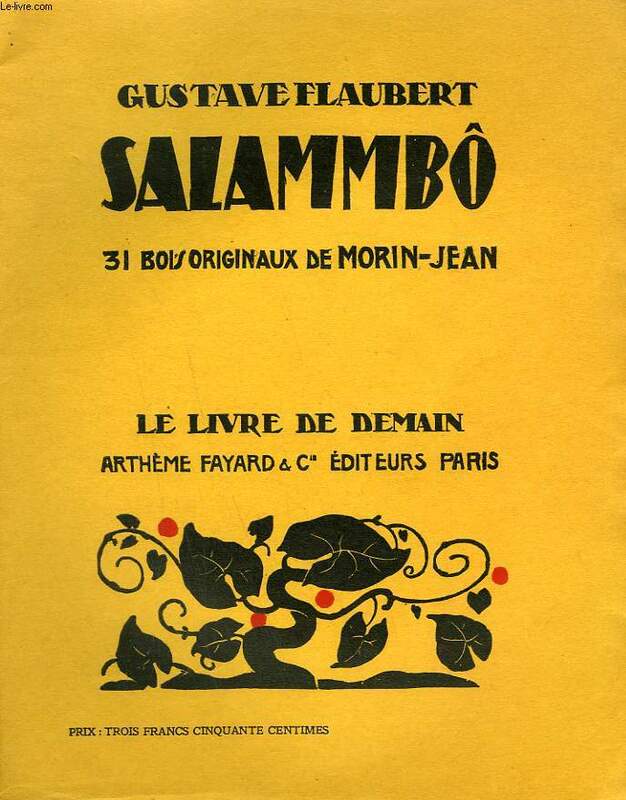 Flaubert's Salammbô is such a "cult" book in our family, that I had to track down the Arthème Fayard édition from which my father quoted in my earliest memories. 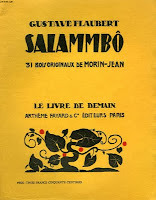 It is the 1933 edition, octavo - sized with it's conspicuous yellow and black cover. Flaubert's famous story is illustrated with 31 original block prints by Morin-Jean. Jean Alexis Morin, painter, illustrator and archaeologist, born in Paris in 1877 is largely forgotten now.